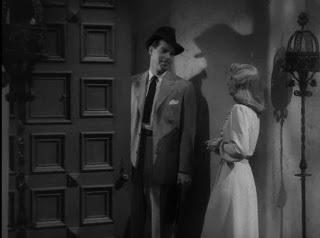 Lest we become too immersed in the innuendo scene from my favorite film noir ever made, Double Indemnity (1944), I will simply state that I wonder if you truly wonder about whether a chart like Fitbit has turned the corner. We know FIT remains heavily-shorted, and seeing the squeezes today in the likes of OSTK and SNAP should keep our ears to the ground searching out the next surprise move higher. FIT has a much better chart than OSTK SNAP, not to mention GPRO. The firm has been steadily improving market share in the "wearables" space, spreading its wings to healthcare segments like glucose monitoring, too. 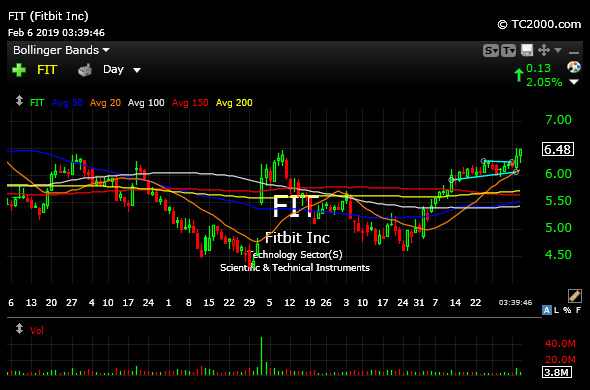 On the FIT daily chart, below, note the improved technicals, as discussed in Weekend Video for Members. Price is basing tightly above all moving average, coiled at prior resistance. I am impressed with the relative strength to the market today, and am looking for a squeeze before earnings at the end of the month. Could FIT get bought out? The answer is, of course, and bulls will talk their books accordingly. That is always the case, though. So we must focus on whether we are left holding a sound chart in case the outlier buyout scenario never comes to fruition.